The articles in this volume present the state of the art in a variety of areas of discrete probability, including random walks on finite and infinite graphs, random trees, renewal sequences, Stein's method for normal approximation and Kohonen-type self-organizing maps. 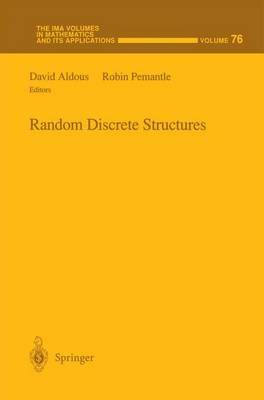 This volume also focuses on discrete probability and its connections with the theory of algorithms. Classical topics in discrete mathematics are represented as are expositions that condense and make readable some recent work on Markov chains, potential theory and the second moment method. This volume is suitable for mathematicians and students.